The background looks like a remembered image in rippling water...the effect could have been applied to the text as well as the smaller pictures on the right, but it's okay as it is. Very blue. ^^ Nice job on this, thanks! they are very cute in this walppaper! i liked the two pictures, but this one is amazing. 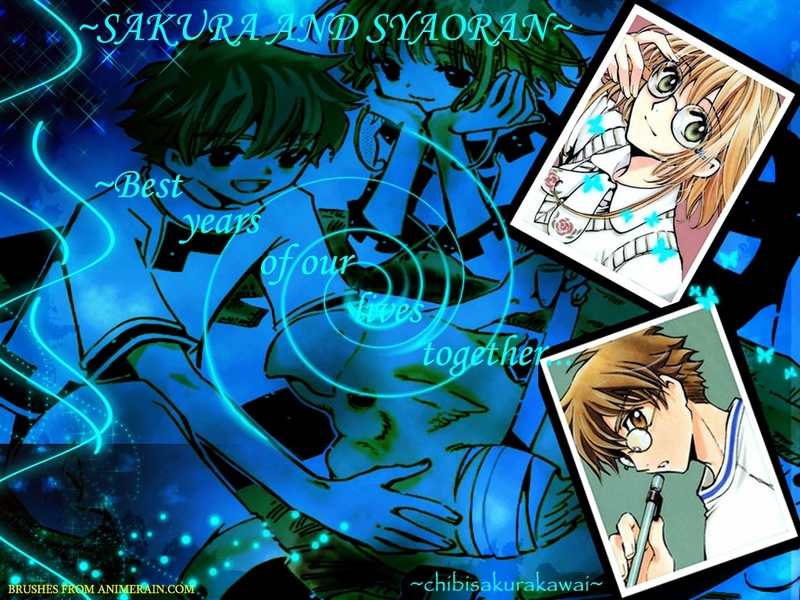 So cute sakura and syaoran with glasses! This is soo beautiful! The colors are amazing! oh my, is that the tokyo story arc...? great job on the vector!